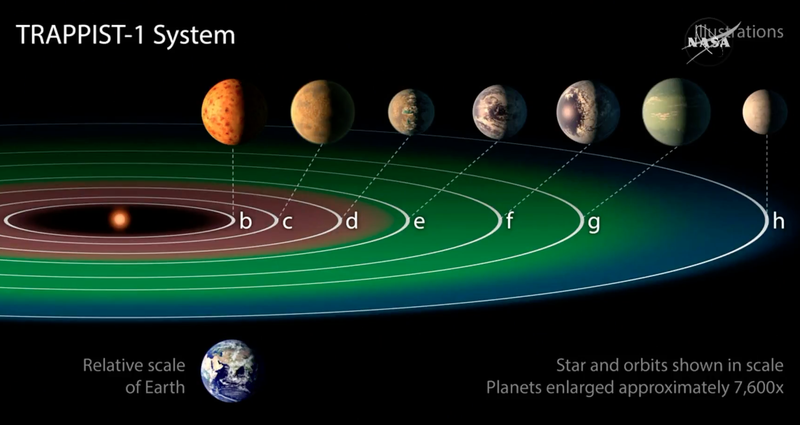 NASA made a huge discovery: 7 Earth like exoplanets were discovered orbiting a dwarf star named Trappist-1, about 40 light-years (235 trillion miles) from Earth. 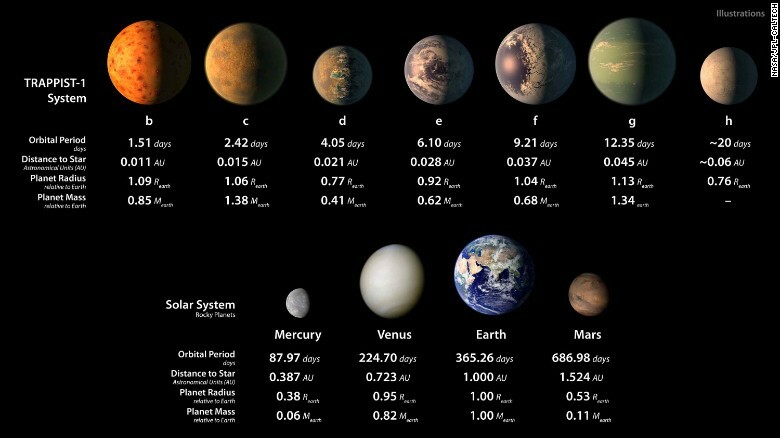 The planets are extremely similar to Earth and temperate, meaning they could have water on their surfaces and potentially support life. NASA’s team immediately made a public conference that was streamed live worldwide! You can watch the full conference below! 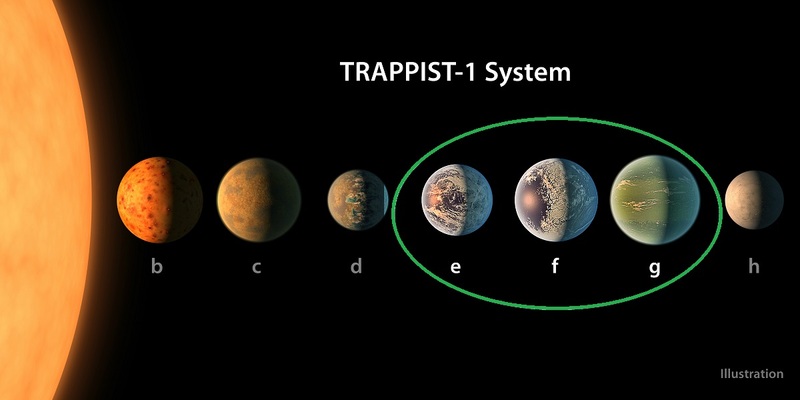 Three planets are in the habitable zone of the star, known as TRAPPIST-1e, f and g, and may even have oceans on the surface. 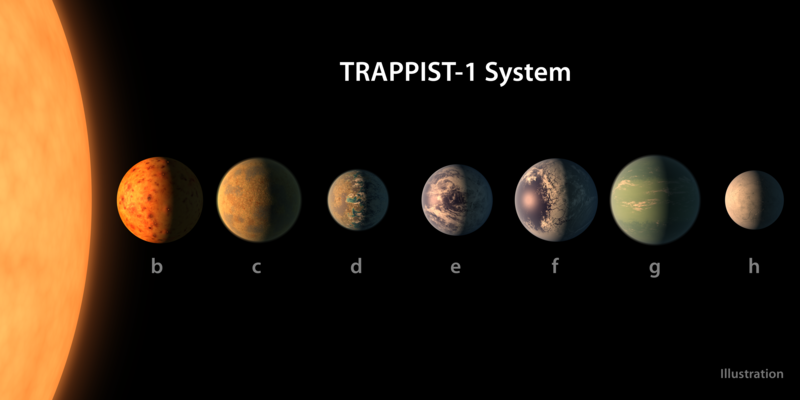 The researchers believe that TRAPPIST-1f in particular is the best candidate for supporting life. The planets are close to each other in a way, that if you would observe them from planet f, planet e and g would look bigger than the moon. When our sun dies, TRAPPIST-1 will still be a young star and will live for another trillion years, Gillon said. After we are gone, if there is another part of the universe for life to carry on, it will most likely be in the TRAPPIST-1 system. “This is the most exciting result I have seen in the 14 years of Spitzer operations,” said Sean Carey, manager of NASA’s Spitzer Science Center at Caltech/IPAC in Pasadena, California.